New York, British bespoke tailors are coming your way. The Henry Herbert tailoring team is visiting you! From October 10th – 13th 2013, we will be based at our “workshop/fitting rooms” away from home, at the King and Grove, 29, E 29th St, New York, NY 10016, United States. 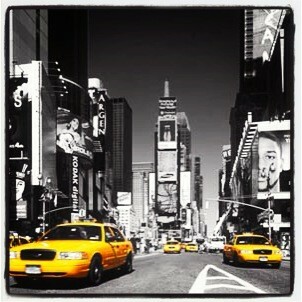 For these dates, we are swapping our Vespas for the iconic New York cabs (or our trusty feet). Q: What is your favourite suit style? A: My favourite style leans towards tailored, slim-fitting suits that at the same time respect the tradition of elegance in British suit making. Q: What is your favourite accessory? A: At the moment a nice bold boutonniere as it can add so much to a solid coloured suit, without a particularly striking pattern. Q: What bespoke trends are you seeing customers ask for this Fall/Winter 2013? A: We are noticing more ‘broken suits’ made popular by the modern Italians and the original British dandies. People are increasingly mixing and matching jackets and trousers which is always fun especially if the textures and colours are interesting. Despite what you might expect, they can go together quite well! It is not as hard a look to pull off as you might have thought, and it gives you even more options to draw from your bespoke suit wardrobe. A: Hmmmm a tough one! A modern British gent, currently enjoying double breasted suits, who has always been inspired by an array of snappy dressers like the helplessly cool Marcello Mastroianni, or the effortlessly regal Miles Davis or the care free Mick Jagger! Questions, concerns, comments? Drop us a line, we would love to hear from you! New York Bespoke Tailor: New York, New Suits! 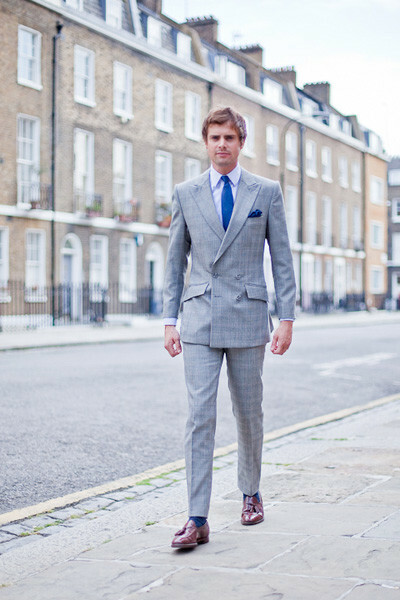 - Bespoke Suits By Savile Row Tailors.